Would you consider joining the Baptism Ministry? If so click here. This is an exciting time for you and your family as you prepare to welcome your child into the Catholic faith. The parish community of St. Thomas of Villanova shares your excitement and looks forward to welcoming your child into the family of the Church and our Christian community. 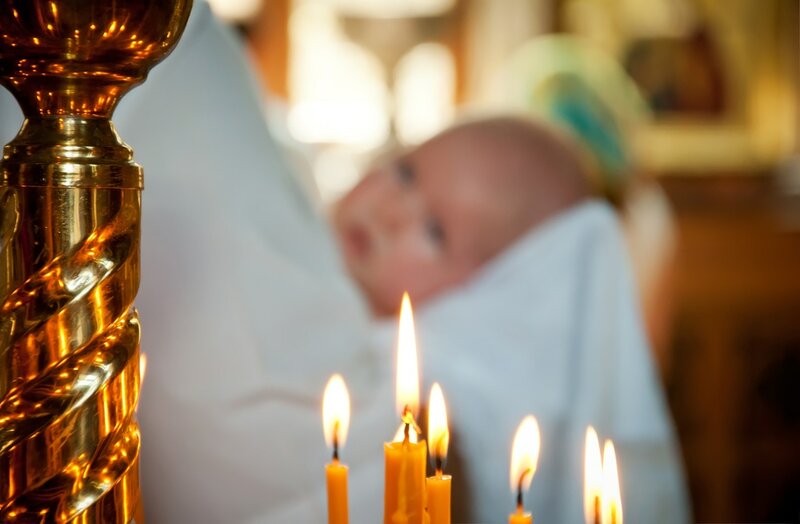 This information page is intended to help you prepare for the baptism of your child. Dates and times of the celebration of Baptism are listed along with the dates and times for the required Baptism class. This class may be waived at the discretion of the pastor if you have recently attended such a class. There is additional information about the numerous ways our parish supports you as you raise your child. If you have any questions about how our Parish can serve you, contact call the Parish Center. Please contact the Parish Center, 610-525-4801 to set up the date and time for the baptism after you have given all this information some careful attention. For Baptism of Adults 18 years and older please call the Parish Center. Our prayers and support are with you. May God bless your family.